U.S. Bellows, Inc. designed and fabricated a Refractory Lined Expansion Joint with pentographic linkages for a chemical plant in Ecuador. 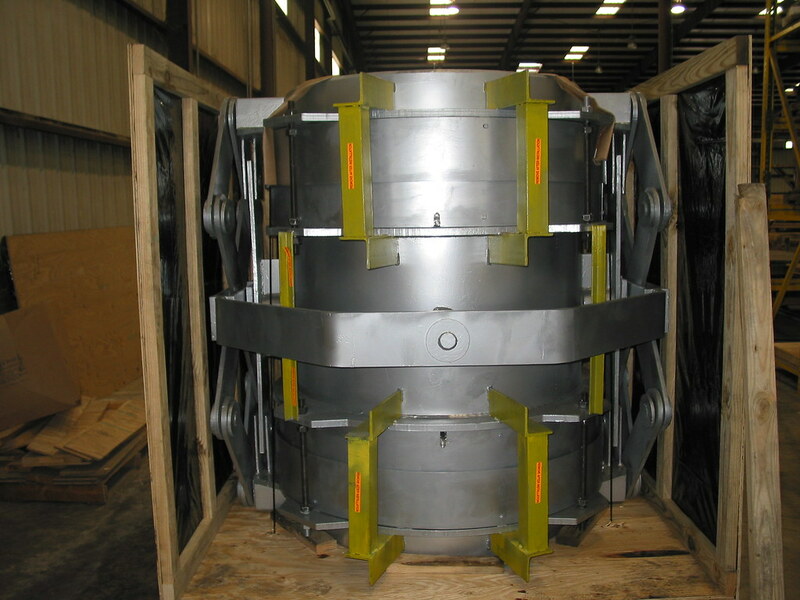 This expansion joint was designed for 60 PSIG and 1450 °F with a 4” thick refractory installed per UOP specifications. The bellows was constructed from SB-443 Inconel® 625, and the weld ends, hinges, pantographic linkages, and floating ring were made from A516-70. The bellows, weld ends, and spool long seam welds were 100% X-rayed and 100% dye-penetrant tested per ASME standards. A pneumatic test was performed at 15 PSIG for the entire expansion joint assembly prior to shipping.